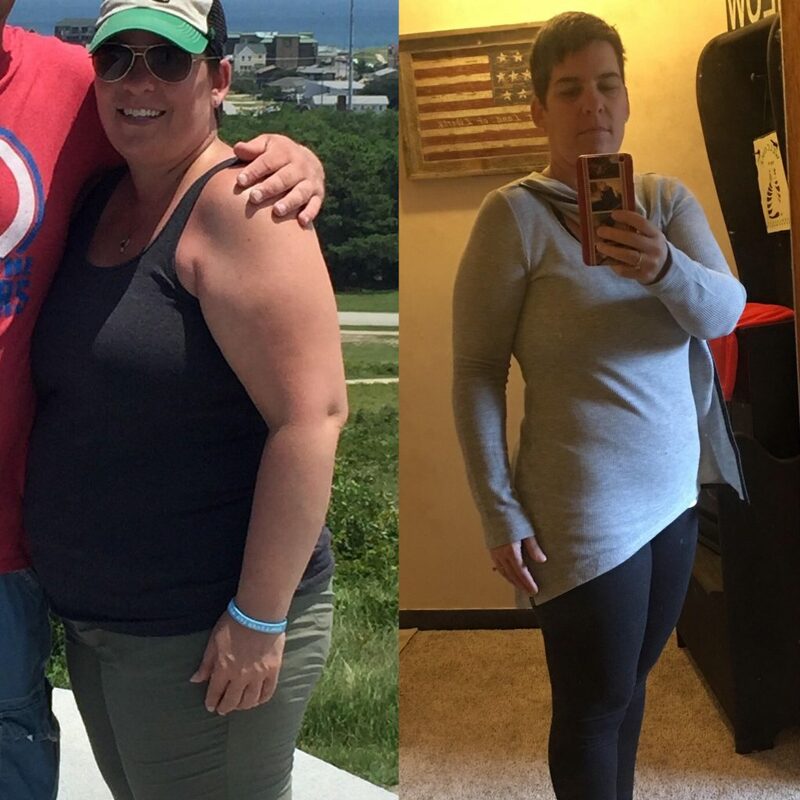 Sandra Lost 20 Pounds in 4 Weeks on the 30 Day Clean Eating Challenge! 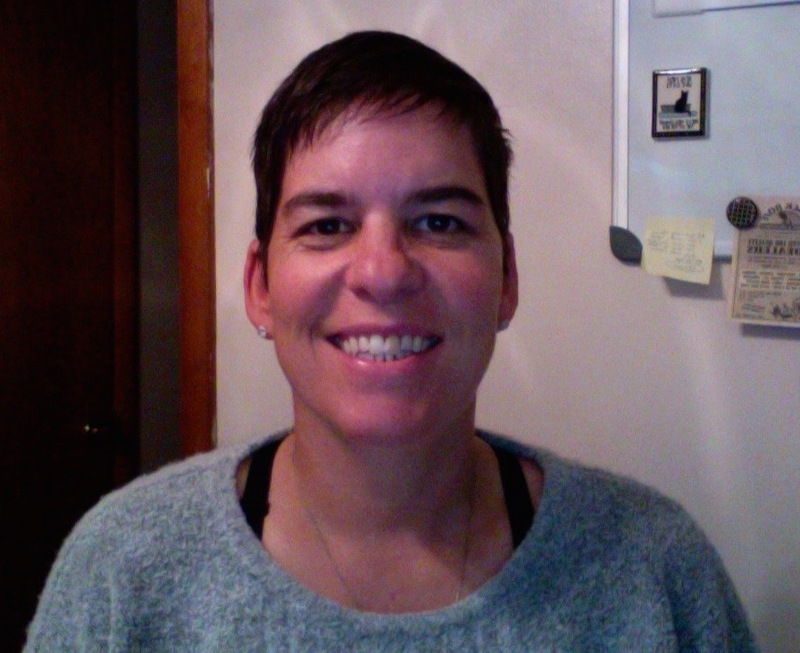 Hi, My name is Sandra Koons and I am 44 years old. I’ve done a ton of research on weight-loss programs, and finally landed on a plan that not only works, but makes it fun and enjoyable to go through the process. I am getting married April of 2018 and my kids are my 4 fur baby kitty cats! I work as a business analyst for a fortune 50 company and am lucky enough to be able to work from home. Before I found CleanFoodCrush and started Eating Clean I struggled to eat more than once a day because I never had any food prepped. It became a pattern for me to order delivery and eat take-out food. My energy levels were extremely low and I found myself sitting the majority of the day and on weekends, binge watching TV. I didn’t feel interested in anything. I’m a light sleeper by nature, but I found myself waking up during the night on a frequent basis which impacted my ability to make healthy choices for myself. In February before I found CleanFoodCrush I joined a gym and hired a personal trainer. The trainer put my fiancé and I on meal plan similar to the 30 Day Clean Eating Challenge Week 1 meal plan only it was way more restrictive. We tried that for 2 months and lost weight quickly, but we weren’t happy with the food. We switched trainers during that time and after the 2 months was over, he put us on calorie count but we had no direction of how or what to eat. It got confusing fast! I did lots of research and landed on the zone diet. That worked for a period of time but became difficult to “build the blocks” and follow the plan. Then we tried a bit of 21 day fix and some weight watchers, but I was still struggling with recipes and what to eat. 6 months later in August I was down 30 pounds with 50 more to go to reach my goal weight. I fatefully stumbled across CleanFoodCrush on Facebook. I was amazed at how good the food looked and how easy the recipes were to follow! 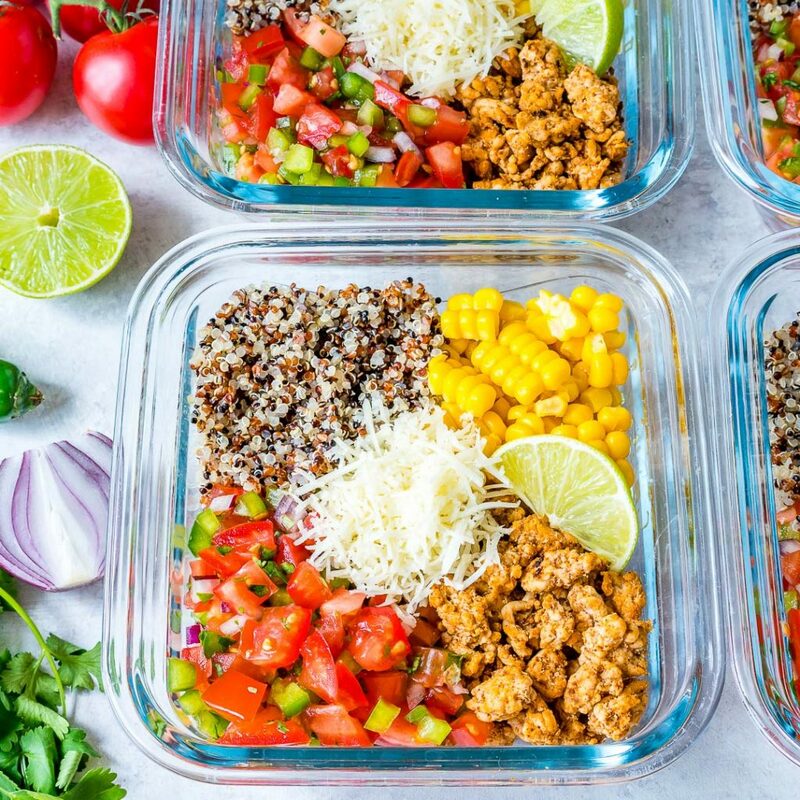 I immediately purchased the CleanFoodCrush bundle and tried a few meals and that was it, I was hooked. 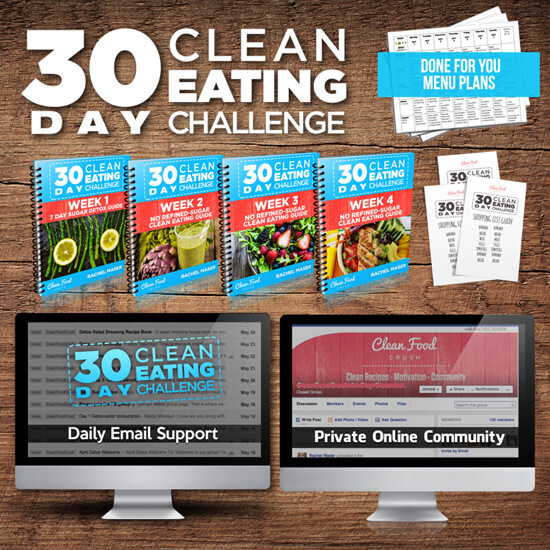 On Sept 5th, I joined the 30 Day Clean Eating Challenge. Mainly, I joined to get the actual food plans and more recipes but I didn’t start the challenge right away. 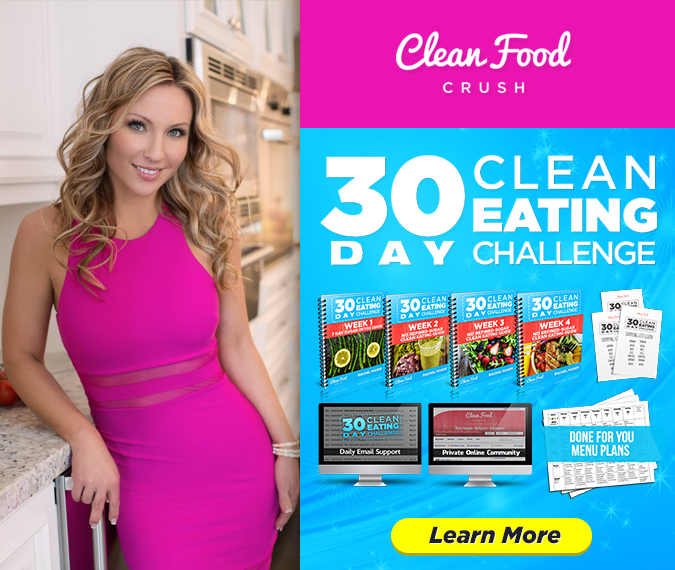 A few weeks later my fiancé and I had been plateaued with our weight loss and I told him it was time to reboot and do the challenge from CleanFoodCrush. We followed Week 1 of the plan for two weeks in a row to keep it simple and speed up our weight loss efforts, and now we are on our 4th week and I’m down another 20 pounds since I found the Facebook page. This was exactly what I needed to kickstart our journey back on track to get to my goal weight of 150lbs! The energy levels are incredible! I’ve never had so much energy in my life and I know it’s from the food I am putting in my body. My sleeping habits are better, and that is also combined with working out. I find that on days I’m not at the gym, I wake up easier when I hear things in the house.. those fur babies I told you about! I am also down 4 pant sizes since I started my journey from size 18-12 and am almost in a 10. I can’t even remember the last time I wore a size 10. This experience has been amazing for my family. I’m not having a hard time with the food at all. I actually find it EASY to follow and I like the regimen of meal planning. My fiancé isn’t a super picky eater, but he was having a hard time with how I was cooking the food. Finding CleanFoodCrush and all those amazing recipes is really what has kick started us back to the Clean Eating lifestyle. I finally had easy and exact recipes to follow and both of us really enjoyed the food. We get so excited on Thursdays now and do our weekly meal planning together. 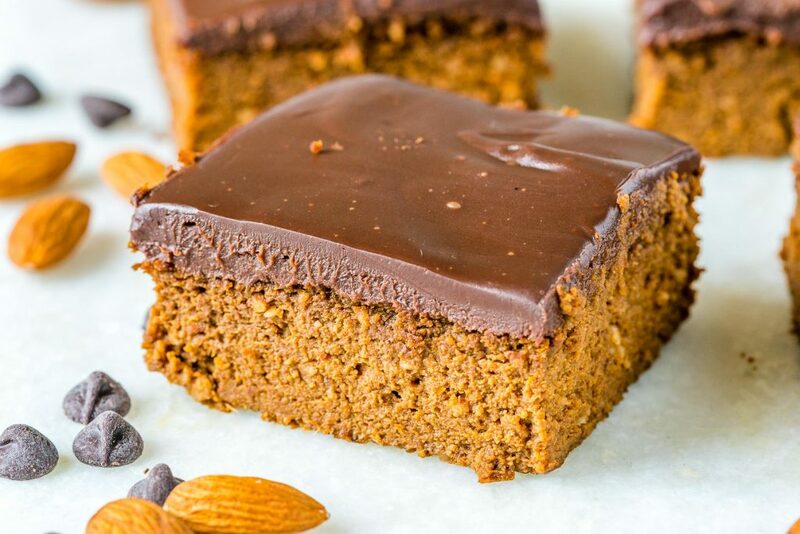 He actually said to me, “I didn’t know healthy food could taste so good!” and he gets excited when I experiment on the CleanFoodCrush desserts! My words of wisdom after going through this experience a few times with CleanFoodCrush: PATIENCE, PATIENCE, PATIENCE! This lifestyle is for sure a journey. It’s not a diet, it is a lifestyle. Take your time, the results will come! It doesn’t always come naturally and it often takes some time to settle in and find your groove. But I PROMISE if you stick with it, you will feel the best you have ever felt in your life. The CleanfoodCrush plan is by far more than worth the price and it’s truly the best I have encountered in my research.